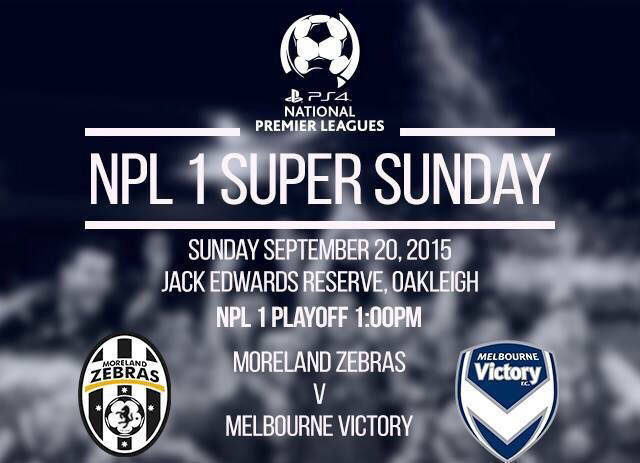 NPL 1 West runner-up Moreland Zebras will play NPL 1 East runner-up Melbourne Victory. All supporters head to JACK EDWARDS RESERVE - Edward St OAKLEIGH This Sunday 20th September At 1:00pm. 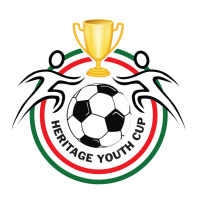 The winner will advance to a match against North Geelong Warriors to play for a spot in NPL next season. 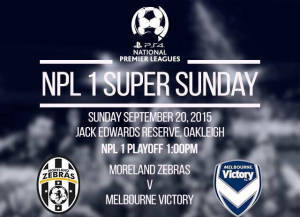 The Moreland Zebras will meet Melbourne Victory this Sunday in the East-West promotion playoff. Second half goals to James Kelly and Danny Charalambous were cancelled out late by Ballarat’s Joshua Romein and Charlie King. The Zebras held on for a 2-2 draw which placed them in 2nd at the end of the 2015 NPL1 West season. Both sides came out all guns blazing, each side had a few half chances with each respective goalkeeper Nikola Kostadinovski (Moreland) and Aaron Romein (Ballarat) not having to deal with awfully a lot. The Ballarat short corner was the only worrying sign for the Zebras back four, but in result the dangerous Zebras counter was on the cards. At the half, the scores were locked at 0-0 with a very interesting second half on hand. Just before the hour mark the Zebras kicked off the proceedings, when a breakdown in a Red Devils corner allowed Baggio Yousif to charge at the Ballarat back four when some neat touches between Charalambous, Papadimitriou and Yousif found James Kelly on the back post and he made no mistake as he nodded the ball home past Romein for the Zebras and had all the Zebras faithful up on there feet. After some scrambling defending the Zebras then found there second when Danny Charalambous found the ball at his feet inside the 6 yard box and put the ball past the helpless Aaron Romein in the 77th minute. The Zebras were in pandemonium and 2nd and a playoff spot were just in touching distance. Ballarat would not lie down that easily, when Josh Romein’s shot form close distance rocketed against the bar and within two minutes it was game on and the home fans had found there voice. A clever run down the left side from the Red Devils wide player found an unmarked Romein who had the easiest of jobs and gave Kostadinovski no chance. Ballarat continued to keep the pressure on the Zebras and it would pay off in the 82nd minute when Charlie King smashed home for the Red Devils from a corner which had been worrying the Zebras all day. An anxious final few minutes for the Zebras, but went so quickly for the Red Devils as the final whistle sounded, the roar from Zebras fans out sounded the Ballarat faithful. A jubilant Moreland Zebras who have some unfinished work, while the heartbroken Red Devils were the last to leave the pitch as they thanked the fans. 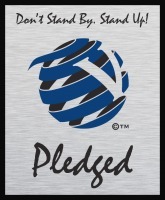 Moreand Zebras next week face Melbourne Victory in the East-West promotion play-off, the winner of this will face North Geelong.